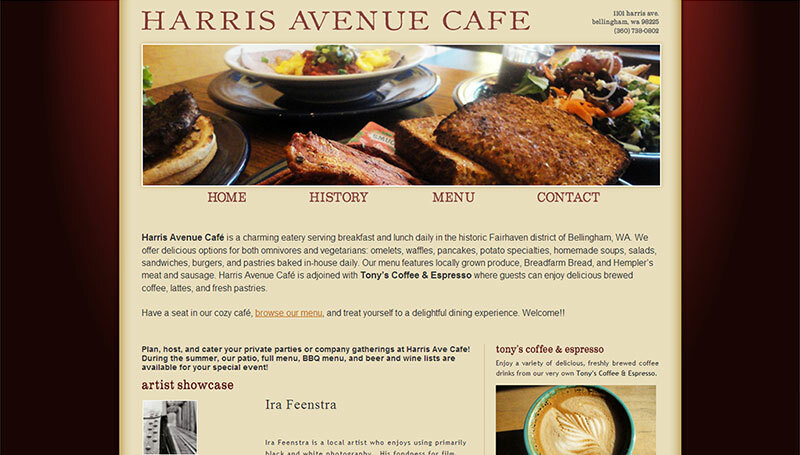 Harris Avenue Cafe is a popular eatery that serves breakfast and lunch daily in Fairhaven district of Bellingham, WA. Initially, the cafe did not have a website. I am happy to have designed and developed the cafe’s first-ever website that matched its simple charm.